We didn’t feel guilty one bit this morning when we cranked up the oven temperature to 500° for today’s lunch—it took the chill out of the air faster than our temperamental studio thermostat. 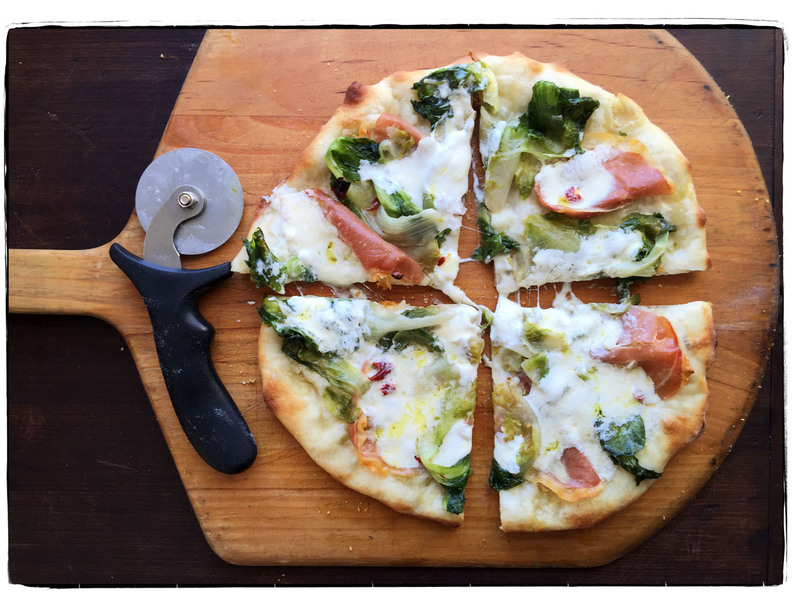 By noon we were feasting on braised escarole and sliced garlic pizza with prosciutto, burrata, crushed red pepper flakes, and good olive oil. We practiced our broom skills after lunch (we once wrote that we would sweep Thomas Keller’s floor anytime). Perhaps we’ll apply for positions at Per Se, seems like they could use a little help.